Although it would be impossible to top last year’s bounty of beautiful cookbooks (*wink-wink* mine was among them) 2018 is shaping up to be a solid year for fantastic cookbooks of all sorts. I’ve been cooking from a stack of exciting new books over the past few months as they have been released, and these ten have been the most enjoyable, inspirational and, indeed, motivational. My collection is all the better because of these new titles, and I’m thrilled to share them for your consideration. Cookbooks are very personal, and what inspires me may not nudge you in the direction of the kitchen. I say take some time in a bookstore to flip through these books and let yourself fall in love with one or two. Better yet, research the author and decide who you would like to support. Then buy one for yourself and one for a friend. Okay! Read on for ten Spring 2018 cookbooks I am loving. 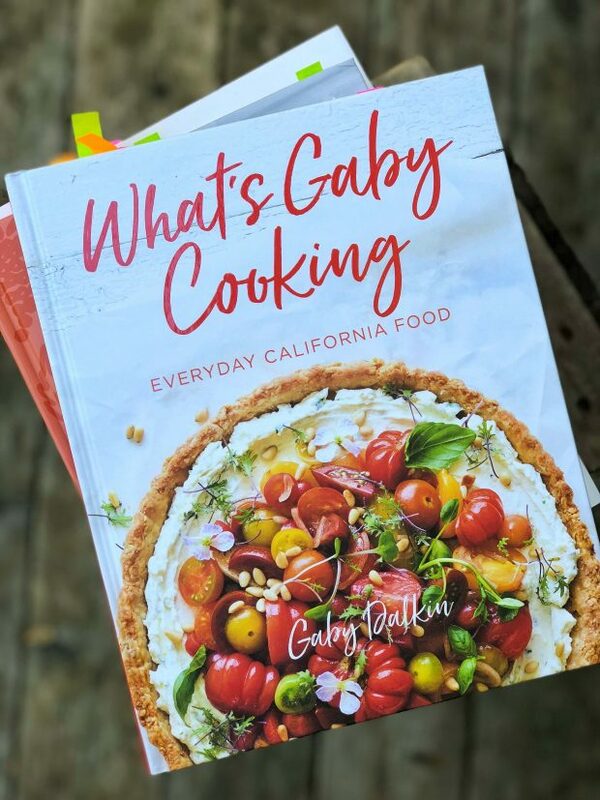 What’s Gaby Cooking: Everyday California Food – Gaby’s book is an absolute must for summer when seasonal produce is at its peak. Few people celebrate like Gaby and her enthusiasm shines through every page and recipe. Keep the book around all summer long for both ‘Weekend Par-Tays’ and for weeknights when “It’s Six O’Clock and I’m STARVING” – both chapters in this beauty of a cookbook. Chinese Soul Food: A Friendly Guide for Homemade Dumplings, Stir-Fries, Soups, and More – Our weeknight dinners have had a delicious overhaul thanks to this book of classic Chinese comfort foods. From simple Fried Rice to Stir-Fried Noodles with Beef, it’s been so fun to play around with the recipes. Bookmarked are many more, from dumplings to Cashew Chicken. I can’t recommend this book enough; add it to your collection and expand your cooking repertoire for the better. The Pretty Dish – Hand down, the most beautiful cookbook to cross my writing desk in a very long time. As someone who plays with my food just about every day, I gobbled up the visual feast – and then got down to cooking and baking. 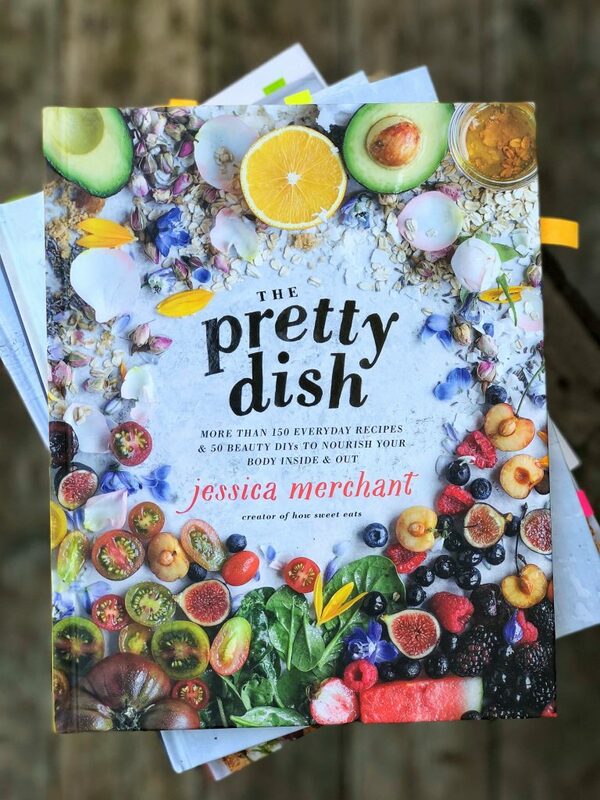 Offering more than 150 Everyday Recipes and 50 Beauty DIYs in the book, author Jessica Merchant really hits it out of the park. At My Table: A celebration of home cooking – I’m a longtime fan of Nigella Lawson and many of her cookbooks grace my collection. Her latest is a love letter to home cooking and is so darn compelling. It doesn’t feel like she’s trying to impress and instead is opening up her kitchen and letting us in to stay for a while. The New Porridge: Grain-based nutrition bowls for morning, noon and night – This playful book got me through the 4th winter season around here…those cold, dark days when it seems as though spring will never come and comfort food is essential. It’s not just for winter, though; I’ve recently been enjoying the Rhubarb Crumble Porridge as well as the Baked Porridge with sliced strawberries. The Minimalist Kitchen: 100 Wholesome Recipes, Essential Tools, and Efficient Techniques – As someone who has resisted (avoided?) the three trendiest kitchen appliances – the Instapot, the Vitamix and the Spiralizer – you could say that I am somewhat of a kitchen minimalist and this is why I loved Melissa Coleman’s cookbook so very much. Just flipping through the books feels equally relaxing and inspiring. The photos are gorgeous and Melissa’s background in graphic design certainly shines through in the best possible way. A keeper! River Cafe London: Thirty Years of Recipes and the Story of a Much-Loved Restaurant – Readers may remember my affection for this beloved London restaurant on the Themes, but you may not know that I learned to cook Italian cuisine from the earlier River Cafe cookbooks. Being well acquainted with them all, I can safely say that this 30 year anniversary edition is now the only one you need. And need it you do, or else how will you make Potato and Pancetta al Forno with sage, or Polenta, Almond and Lemon Cake, or that masterpiece, Chocolate Nemesis? Just a few River Cafe recipes that I have come to love over the years. 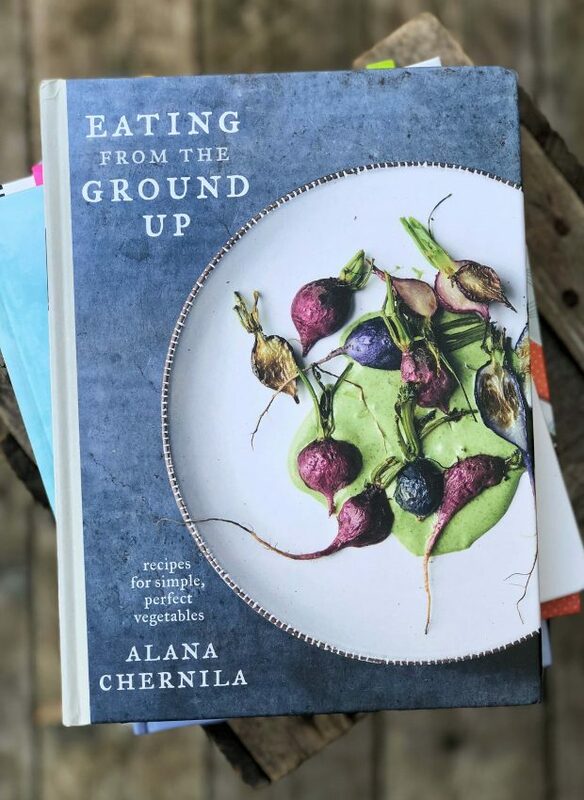 Eating from the Ground Up: Recipes for Simple, Perfect Vegetables – I feel like we’re all trying to be intentional about eating more vegetables, and the new book from Alana Chernila is the key for getting them onto our plates. Not only are the photographs lovely, and the writing transporting, but the creative recipes are super approachable, too. Win! The Perfect Scoop, revised and updated – This spring felt like the right time to invest in a cookbook on ice cream and other frozen treats and David’s book does not disappoint, featuring “200 Recipes for Ice Creams, Sorbets, Gelatos, Granitas, and Sweet Accompaniments”. We started with Strawberry-Rhubarb Sorbet and don’t plan on stopping – ever. A Table in Venice: Recipes from my home – If you love to armchair travel, as I do, then count on this stunning cookbook from Skye McAlpine to transport you to dreamy Venice. The food here is perhaps Italy’s best kept secret and Skye is the perfect guide for introducing us to everything from Il Café (breakfast) to La Pasticceria (dessert). Personally, I’ve decided to adopt ‘Lo Spritz’ – the Venetian aperitiveo consisting of an Aperol Spritz and a few savoury small bites – into my daily life the whole summer long. The Donut King: The Rags to Riches Story of a Poor Immigrant Who Changed the World – Bonus Book! This one is memoir and doesn’t contain any recipes, but it is a FASCINATING read. I was only one chapter in when I though “I hope they make this into a movie”. Definitely look it up and add it to your summer reading list. One more thing… my wish list! 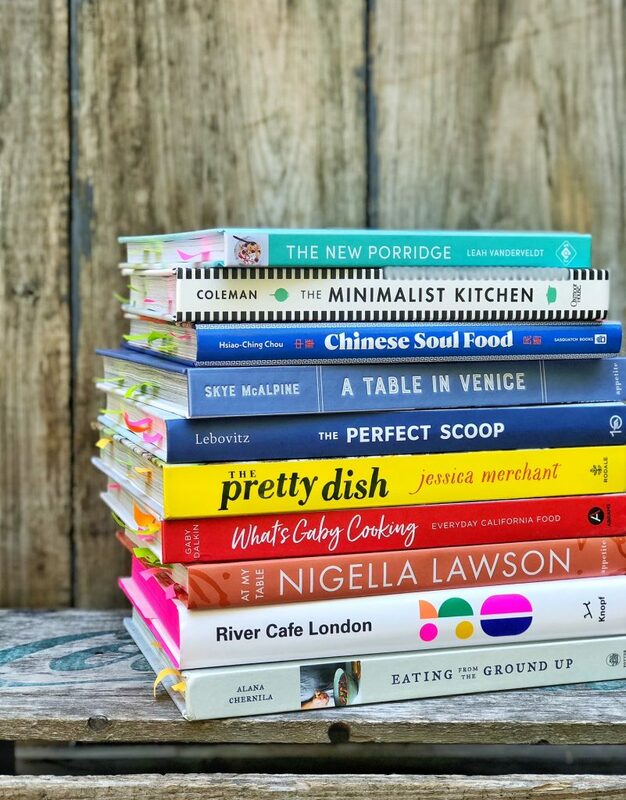 ….Because you can never have enough cookbooks… I’m hearing really good things about the following books and I can’t wait to get my hands on copies. What was your last cookbook acquisition? Do share! I am definitely interested in the Chinese cookbook! Fun. Great selection here. The last new book I received as a gift was your book Aimee, however I did find a total gem at my local used store (366 ways to cook rice, beans and grains) – everything from tabouli to black bean hummus, to hearty entrees to grainy pancakes. So great. Diana Henry never disappoints – How to Eat a Peach is wonderful. That and Eating From the Ground Up are my latest purchases. I’m adding A Table in Venice to my to-buy list; it looks beautiful. Ohhh, another vote for How to Eat a Peach. Thanks for sharing your feedback, Karen. Have tried a few in this list but there are so many I’ve yet to try! Eating from the Ground Up, The Pretty Dish and What’s Gaby Cooking are ones I’m going to definitely try! Really great recommendations! My fav from spring has been Hamshaw’s Power Plates — no bad recipes here! I follow a lot of food blogs yet somehow have not had Gaby on my radar. I picked up her book at Chapters while killing time between my daughter’s dances during a festival weekend and now I see Gaby everywhere! I think I have provided food from her book almost everyday in the past couple weeks…baked meatballs, gooey chocolate chip squares, tortas and the ribs have all been favourites. Isn’t it funny how that happens, Cheryl? PS: We made – and loved – the chocolate chip squares, too. I love your disclaimer about cookbooks being personal and not every cookbook is for every person. I’ve seen more and more low Amazon reviews for cookbooks when it seems like it just wasn’t the right fit for the cook and the book rather than the book itself being poorly done. Sometimes too many pre-orders means more bad matches that could have been avoided by just flipping through a book in an actual store. I’m always a little shocked at how let down people feel when the book isn’t just what they expected…but that’s the whole point, this specific book has never been in the world before! Random rant there 🙂 Thanks for the lovely list, your round-ups are always a good read. I actually read this book cover to cover – I love her writing as well as her recipes. I’m going to check it out, Anna. Great title. Thanks for the recommendation. The Flavor Matrix: The Art and Science of Pairing Common Ingredients to Create Extraordinary Dishes, authored by James Briscione. After “Salt, Fat, Acid, Heat”, which was the most educational cookbook for me, this one was another eye-opener.